SOLID! Nick Ashford and Valerie Simpson Celebrated Love. In “Death” He Still Lives. August 22, I heard that Nick Ashford of Ashford and Simpson had died. Why technically true, I know that the obvious is not necessarily The Truth. I reflect on Nick Ashford. The first time I heard Ashford and Simpson sing they performed the song, "SOLID." I loved it immediately, the song and them. The lyrics were positive, a celebration of love that would not be washed away by time, and it was so. Nick Ashford and Valerie Simpson met in a church and formed a songwriting team. They married in 1974. In 2011 they were still a couple, looking good and still performing. Before Ashford and Simpson became performers, the couple produced for Motown under the watchful eye of Berry Gordy. The hits they wrote and produced were astounding. Ain't No Mountain High Enough, Ain't Nothing Like The Real Thing, They infused the airways with their interpretation of love and loyalty, and their ambassadors were some of the most powerful names in R & B. "SOLID," More than just a song. 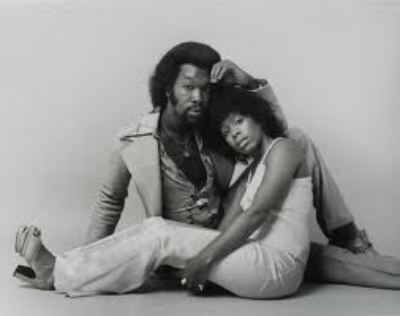 "Solid " gave testimony that Ashford and Simpson were living versions of Yin and Yang, the Chinese explanation of the counter forces in the universe, masculine and feminine. When they come together in harmony, The Tao, The Way emerges. Ashford and Simpson formed a life-long partnership which bore harmonic fruit that we can all still harvest at will. The legacy lives on, just as Valerie, herself continues with us. Take a moment to meditate on the song and the enthusiasm of the artists. SOLID (Asford and Simpson) The director of the Solid video expressed a powerful love between a man and a woman. However any work of art, any creative endeavor has many layers. Each observer, or in this case, listener brings with it a part of his own story or vision. The songs I love tend to touch me at a deeper level, perhaps at a deeper level than even the artist was conscious of. Although, I certainly enjoyed Ashford's songs as love songs for men and women, I was also able to receive them at a spiritual level. In many of them I could hear The Master calling out to his beloved, The Lord promising the disciple his undying love, the disciple, lamenting his mistakes but recognizing the grace of forgiveness. And so Nick Ashford sang the songs and by doing so, transcended himself, he was Christ-like in his declaration of unshakable love and redemption. Once having heard the song, Solid and then seeing Nick Ashford and his lovely and equally talented wife, Valerie perform. I would never forget their names, their faces, nor the effect the couple had.